InMobi regularly participates in and contributes to a series of events, meetups, webinars, sharing best practices with partners and thought leaders, across the globe. In this edition of the InMobi Event Diary, we are looking at the highlights from the WPP Stream conference 2018. Stream, the much-anticipated 3-day WPP conference, was held between the 28th February and the 3rd of March in the scenic pink city of Jaipur. What set Stream apart from other conferences was its agenda, or more precisely, its lack of an agenda. Hosted by Scott Spirit, Chief Strategy Officer, WPP and CVL Srinivas, Country Manager - India, WPP Stream brought together the brightest minds across technology, marketing and innovation under one roof. 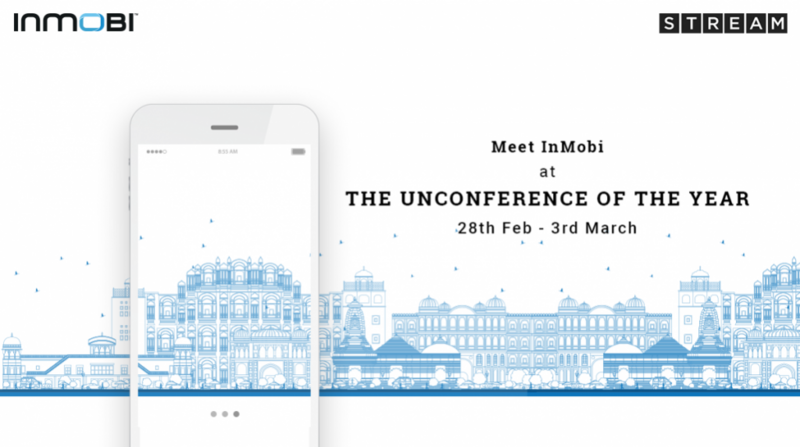 Vasuta Agarwal, GM and VP - India, and Nikhil Kumar, Head - Brand Strategy and Solutions, attended the unconference of the year on behalf of team InMobi. They participated in a series of free-flowing discussions across the conference where topics ranged from what makes millennials tick to the seemingly omnipresent topic of our times - cryptocurrency. That’s not all, Vasuta and Nikhil also went on to hold their own discussions catering to both the analytical and creative lines of thought. Vasuta hosted a compelling discussion on envisioning the pros and cons of a future of complete data dominance, while Nikhil conducted an interesting discussion on the consumer need for brand experiences rather than regular ads, mobile. Attendees also participated in a host of activities including trekking, yoga, muay thai, movie screenings, and Holi celebrations, adding to the overall fun and relaxed vibe of the conference. With a balanced mix of both meaningful conversations and ample fun, Vasuta and Nikhil were left with an enriching experience like no other. Team InMobi looks forward to participating in the next edition of WPP Stream Asia!